Fix two points (A and B) in the plane. Take a third point (C) and construct the Least Squares Regression Line (LSRL) Let C move horizontally. 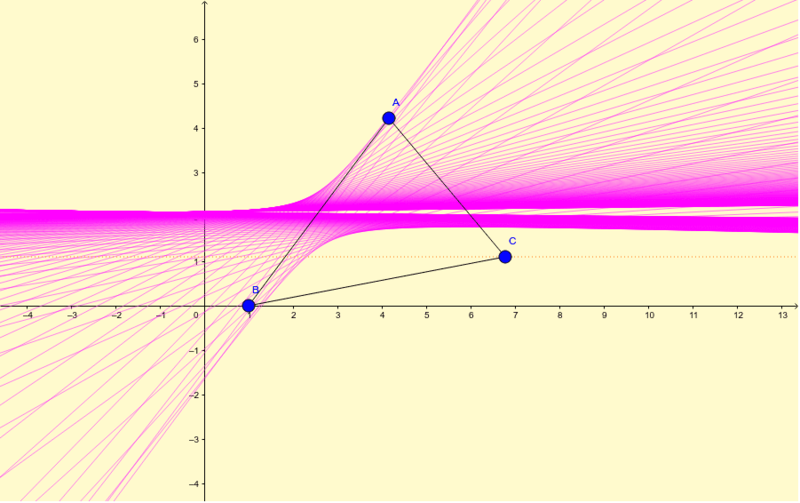 The collection of all possible LSRL forms the envelope of a hyperbola. There are over 400 LSRL in the applet below.